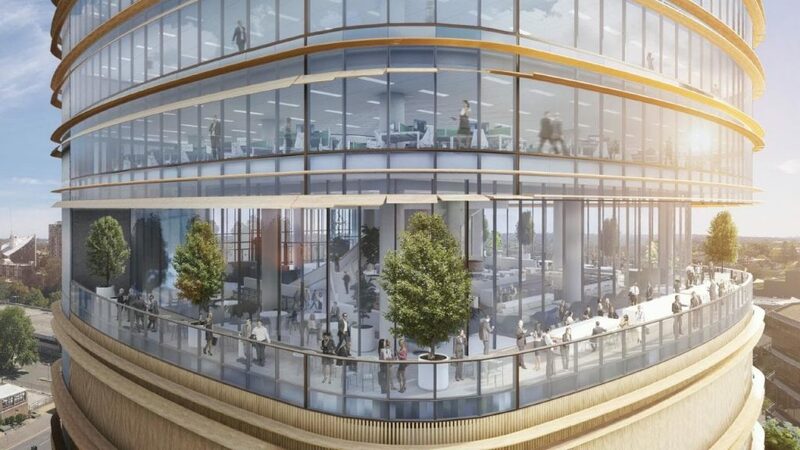 The western Sydney hub of Parramatta has confirmed its place as an office tower hot-spot as developers rush to complete a brace of new office towers, says The Australian. Last week, the GPT Group started construction on its $300 million-plus Fender Katsalidis designed translucent office tower at 32 Smith Street, located one block from the $1.2 billion Riverbank cultural and entertainment precinct, the proposed home for the Powerhouse Museum. The company is chasing more office and logistics opportunities in the area after last year hooking QBE Insurance as anchor tenant for its 32 Smith St tower. “We expect the importance of Parramatta as a world-class commercial and cultural centre will only grow, with most of Sydney’s population set to live in the west within the next two decades,” GPT head of office and logistics Matthew Faddy said. Currently Australia’s faster growing CBD, Parramatta currently has close to $10 billion of new development, including a $6 billion civic square, Parramatta Square, the largest urban renewal project in the state. Office tower developers GPT, Lang Walker, Charter Hall, Dexus and others are all developing a swath of new towers for tenants like KPMG, Western Sydney University and various government departments. Tycoon Lang Walker is poised to secure a major pre-commitment from the NSW government, which has made the area a priority. Parramatta is currently the tightest office market in the country, with only 21,877 square metres of available space in the six months to January 2019, notes a recent Ray White review. Rents have lifted to about $600 per square metre but this is still about half the Sydney CBD. According to Western Sydney Business Chamber executive director David Borger, there will be more than 1.2 million square metres of office space in Parramatta in five years. “Parramatta is in the midst of an incredible shift, where there will be more workers than residents in the CBD in five years’ time,” he said. The city is also forecast to build more than 72,000 dwellings jobs by 2036 as well as creating approximately 113,000 additional jobs by 2036.